Rainwater Harvesting- what's the best way to use rain water? I hate to admit that I am not worried about whether or not there will be water when I turn on my shower or my washer. Actually I am quite lucky to have access to clean and safe drinking water and because it’s something that I can easily use more often than not I take it for granted. Letting the water run while I brush my teeth? Guilty! Turning on the the dishwasher when it isn’t full? Guilty! Re-washing a load of laundry because I forgot to take it out the night before… OOPS!! Today’s guest post explores a topic that was quite new to me and something that I need a second look at in the spring when the snow has melted Not a lot of people pay attention to the world’s supply of water. After all, it is a very accessible resource; it just flows out of the tap freely. Unfortunately, there are people around the world who do not have 24/7 access to clean and safe water. Fortunately, they have a way around it in the form of rainwater harvesting. Rainwater harvesting is a practice that is touted as the best way to save the world’s supply of water (and save money on water). 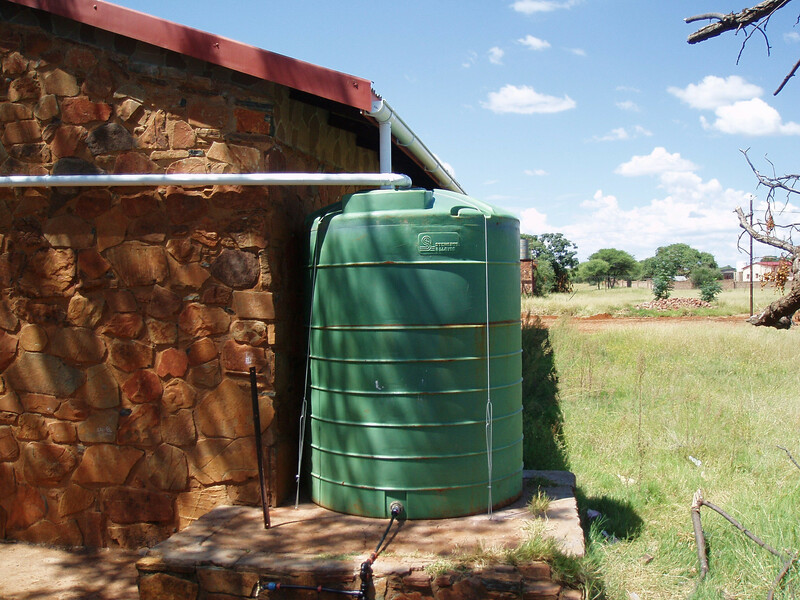 By storing rainwater in a Rain Water Tanks Direct tank for future use, a household becomes less dependent on mains water. Once that household becomes less dependent on mains water, they no longer have to worry about not having access to water 24/7. The practice also helps to ensure that those who need the mains water actually get to use it. After all, supplies of mains water can dwindle. In fact, water restrictions are not unheard of in numerous places because of this problem. Water supply dwindles as a result of an increase in demand for water. One method of addressing an increase of demand is the search for a source of groundwater. Once dug up, it will only be a matter of time until that particular source of ground water dries up, and once that happens, the need to dig up another source becomes necessary. But by harvesting rainwater, groundwater demand lessens. The lesser the demand for groundwater, the faster it can recover (usually via rainfall). Thus, it’s safe to say that the practice helps to prevent water shortage in an area from happening at any time. Having a rainwater tank installed in your property can also minimise the chances of flooding and soil erosion during a heavy downpour. This is especially true if a good number of people living in an area have rainwater collection systems in their respective homes too. How Is Stored Rainwater Used? The stored rainwater may be used for a wide range of tasks such as flushing toilets, watering plants, and car washing. If filtered even further, rainwater stored can even be used to wash clothes and dirty dishes. How To Gain the Most Benefit From Rainwater Harvesting? If you’re interested in starting your own rainwater collection system, know that truly benefiting from the practice means getting a tank of the appropriate size. There are a few factors to consider when it comes to getting your own tank. The first has to do with whether you’ll be fully depending on rainwater or not. Choosing a tank that can store a few thousand litres of water is fine if your household wants to use mains water for certain chores. However, if your household wants to fully depend on rainwater, choose a tank that can accommodate several thousand litres of rainwater. The second factor to consider is the size of your property. If your property does not have enough space for a big tank, then go for a smaller one. Otherwise, go for a large tank. The third factor to consider is the number of people inhabiting the building or house. Keep in mind that the more people there are in a home, the more water used each day. The fourth factor to consider is the material the tank is made of. Steel tanks cost more than polyethylene tanks. Lastly, consider how long you’ll be staying in the area. This should not be a problem if you own your home, but if not, then you’re better off with a unit that’s easy to remove and reinstall. By building a rainwater harvesting system on your property, you can save money and help in saving and replenishing the world’s supply of water. But that’s not all. The presence of such a system adds more value to your property. Thus, it’s safe to say that such a system is nothing less than a worthy investment, and one you should set up in your home right now. 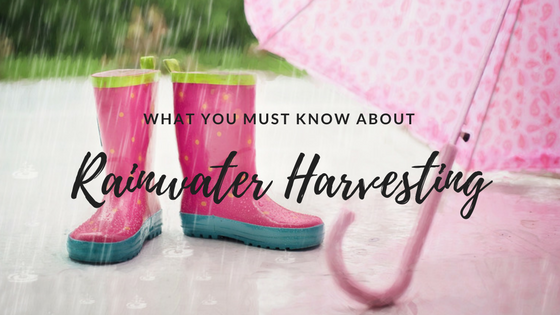 **Disclaimer** Before setting a goal for rainwater use, check with local authorities (often the building services/plumbing department in your municipality) to determine what rainwater uses are permitted in your area. For my Canadian friends click here more information.